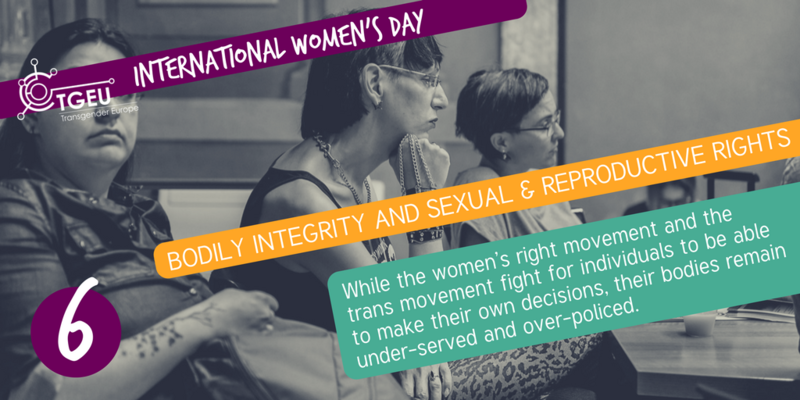 TGEU stands with the feminist movement in calling for the securing and advancing of reproductive rights for all women and trans people. TGEU calls upon policy makers, healthcare professionals and the media to strongly denounce any backlash or attacks on these rights. 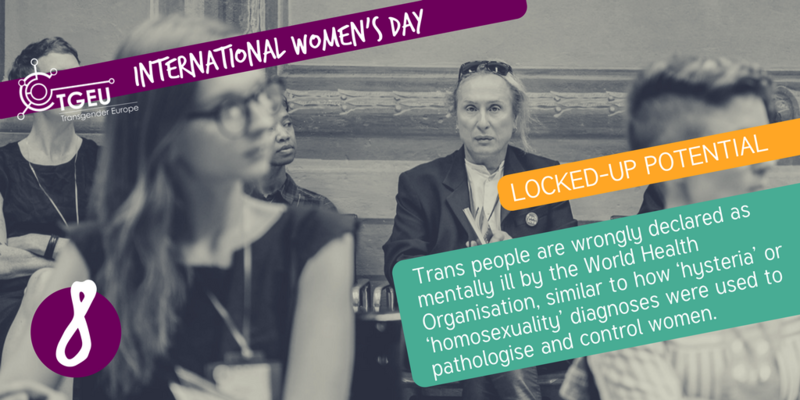 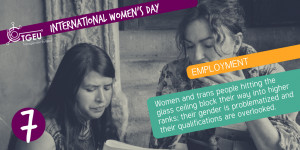 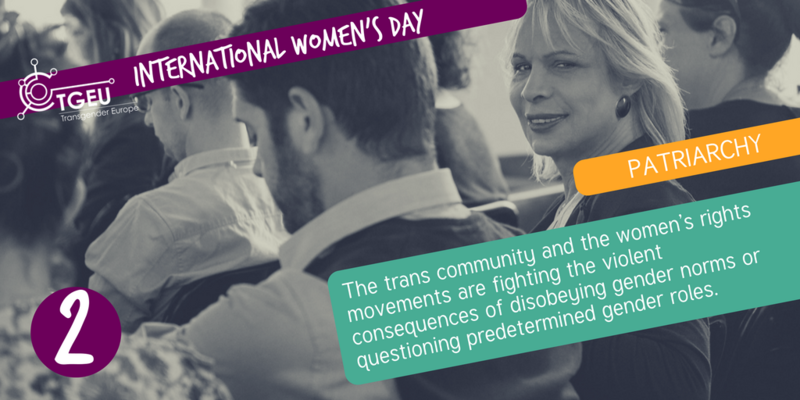 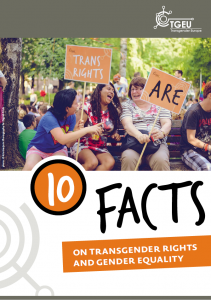 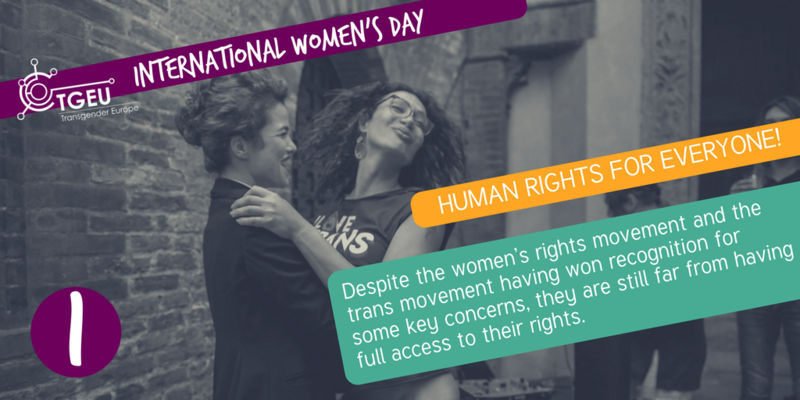 TGEU’s fact-sheet, “10 Facts on Transgender Rights & Gender Equality”, highlights 10 facts which show why the trans and women’s rights movement should work in mutual solidarity and support each other in the face of gender inequality. 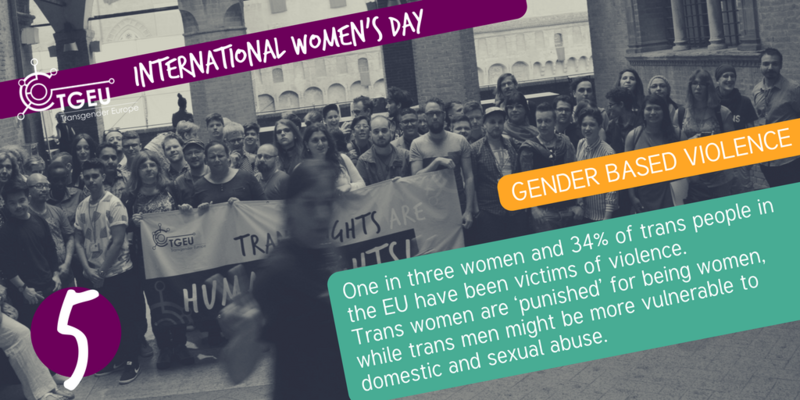 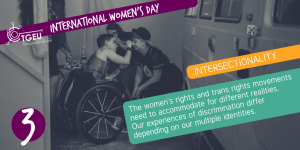 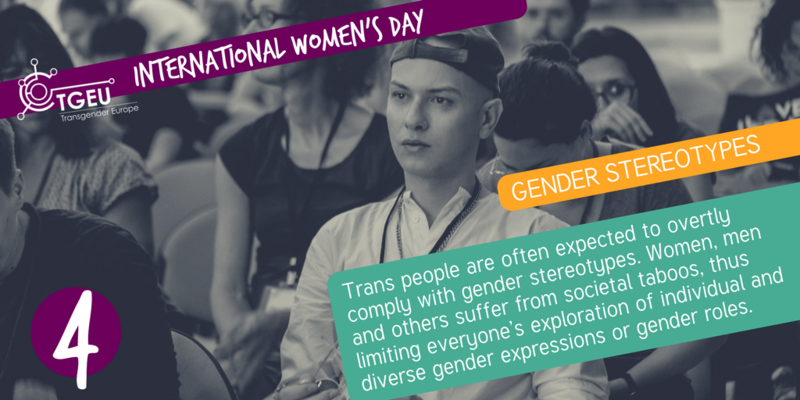 Every day from the 3rd – 7th March 2017 we will be sharing facts on Transgender Rights & Gender Equality. 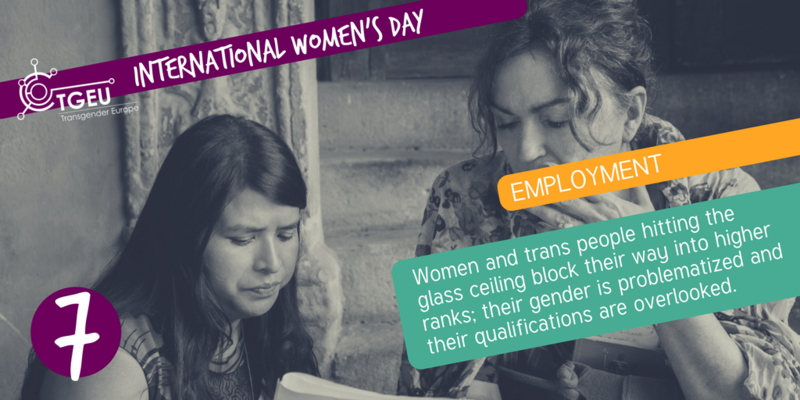 The hashtag (#) used on social media for International Women’s Day is #IWD and #IWD2017. 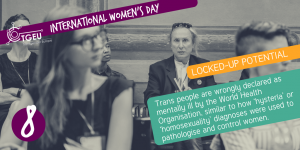 Photos taken at the 6th European Transgender Council by Laura Bessega & Mina Tolu.